A handful of new reports emphasize that climate change and the world's worsening health are urgent, intertwined crises. One of them calls for an international treaty to address the problem. A scientific study published Monday also shows how "food production shocks" linked to climate change have been rising globally, putting food security at risk. The researchers identified nearly 230 food production shocks, in 134 countries, from 1961 to 2013, and said the frequency of crop production shocks driven by extreme weather had been increasing steadily. Food shocks threaten to destabilize the global food supply and drive up global hunger rates, which have started to tick up in recent years. "Land-based crop and livestock production are particularly vulnerable to extreme weather events such as drought, which are expected to become more frequent and intense with climate change," said Richard Cottrell of the University of Tasmania, the report's lead author. The drumbeat for change in food and nutrition gained volume this month with the release of a detailed plan by an international commission organized by the prestigious medical journal The Lancet. The plan urges a major overhaul in food production and diets, or what one of the report's authors called "nothing less than a new global agricultural revolution." Then on Tuesday, 80 investor groups representing more than $6.5 trillion in assets called on six of the largest fast food companies, including McDonald's and the corporate owners of KFC and Pizza Hut, to set targets for cutting greenhouse gas emissions from their meat and dairy supply chains. Food production, globally, is responsible for about a third of greenhouse gas emissions, largely from meat and dairy production. 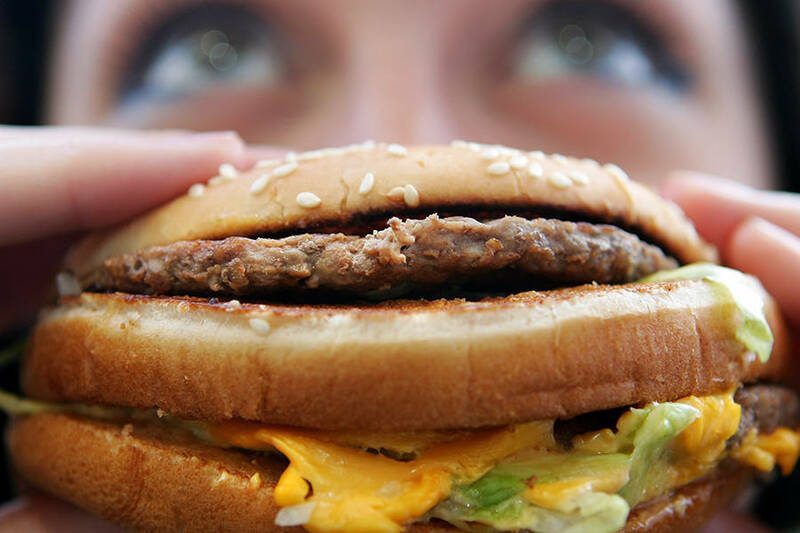 Nearly 85 million Americans –or nearly a third of the population—eat at a fast food restaurant on any given day. But, as the Lancet report on obesity notes, demand for convenience and protein are rising in the developing world, too. "This is the largest-emitting sector that doesn't have a low-carbon plan," said Brooke Barton, a senior director with Ceres, the sustainability group that co-organized the investor campaign. "While some companies in some high-emitting industries, like the electric power industry, are starting to set goals and transform their business models in line with the Paris climate agreement, the meat and dairy industry is digging in its hooves." The Lancet Commission on Obesity, made up of more than 40 experts from 14 countries, says that, while its original mandate was to address obesity, it reframed its mission to address the pandemics of obesity, malnutrition and climate change –or what it called "the triple-burden challenges of The Global Syndemic." "We decided we have to look at this with a systems approach. It's not people's fault," said Vivica Kraak, a professor of food and nutrition policy at Virginia Tech who contributed to the report. "The environments they live in foster overconsumption and unsustainable choices." "It's about poor diet quality whether you're in a high-income country or a low-income country. And with climate change, you have greenhouse gas emissions with animal agriculture, but we also have a lot of food waste," Kraak said. "We really need to radically change the food system and the way we eat. It's all connected." The report says that obesity is increasing in every region of the world largely because "the systemic and institutional drivers of obesity remain largely unabated" and are being driven by "powerful commercial interests." As with climate change, the commission says, "the enormous health and economic burdens caused by obesity are not seen as urgent enough to generate the public demand or political will to implement the recommendations of expert bodies for effective action." But, it says, the dangers are as critical. In the Lancet's other recent report on climate change and diet, the EAT-Lancet Commission called for a "comprehensive shift" in global diets, including cutting meat consumption roughly in half, and for governments to factor sustainability into their dietary guidance. This week's report underscores the urgency of that guidance and points out how industry pressure has undermined the process. "For example, when the USA and Australia tried to include sustainability in their national dietary guidelines, vested interests from food industries leaned heavily on their governments to eliminate sustainability from the terms of reference," the report says. "Reducing the consumption of red meat is a cornerstone for healthy, sustainable diets," the report adds, "but achieving this will be formidable given the current supply and demand dynamics. Western-style fast foods might also be part of aspirational diets for some populations in low-income countries." This article originally appeared in Inside Climate News and is reprinted with permission.